Map Update: Idlib De-Escalation Agreement Continues To Shrink Amid Multiple Violations By ‘Moderate Rebels’ 5 out of 5 based on 2 ratings. 2 user reviews. The Idlib de-escaaltion agreement continues to face multiple constrains in its implementation. Sporadic firefights and artillery duels appear in northern Hama, southern Idlib, western Aleppo and northern Lattakia almost on a daily basis. 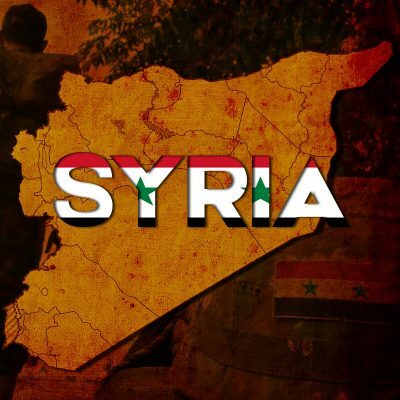 Joint Russian-Turkish patrols in the demiltiarized agreement have not been launched yet because multiple members of radical armed groups still present in the area. On March 15, the Afrin Liberation Forces carried out three simultaneous operations in Afrin, Mare’ and Azaz. 3 Turkish-backed militants were killed, 3 others were injured. With all sort of gratitude towarts his highlybornSultan Erdogan. You inbred cretin. Get lost and back to breeding with your goat. Sorry mate but I ame no muslim. And it are theTurks who have 9% more handicapts then western countries due to inbred and child abuse. Total of 12,5% handicapts in Turkey. Damn, apologies. My bad, let’s start again. PS I was in a dreadful mood yesterday, so sorry to you and everyone. Aleppo has suffered enough. Eradicate the invader – when you’re ready!